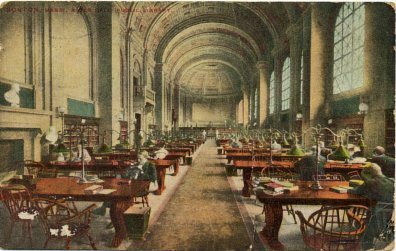 ﻿In the universe of library postcards a relatively small percentage show the interior of a library and an even smaller percentage show people inside of a library. Based on a recent examination of library postcards for sale on eBay, less than one percent depict people in a library. 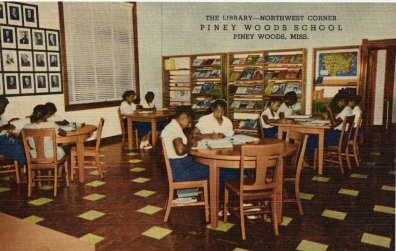 That makes this category of library postcards an excellent choice for a selective library postcard collector which I happen to be. 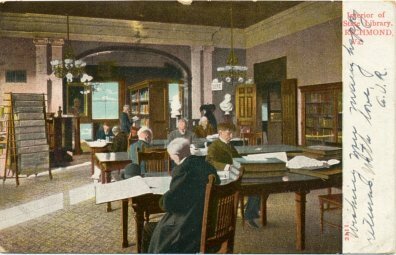 The bad news is that postcards that depict people in conjunction with a particular topic such as libraries are much pricier. Some of the postcards in this category in my postcard collection are shown above. 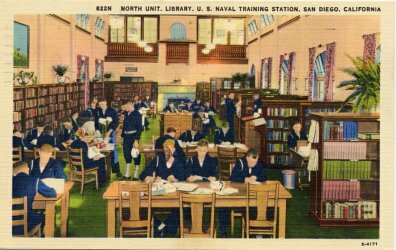 I have found that military library postcards are more likely to show library users than other types of library postcards. 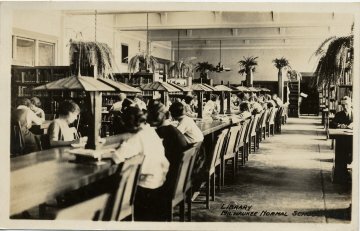 The library users of a special library such as a state library are likely to be much different that the library users of a public library or school library. Is there any known copyright on these images I'd like to use them to illustrate the odd blog post in future. 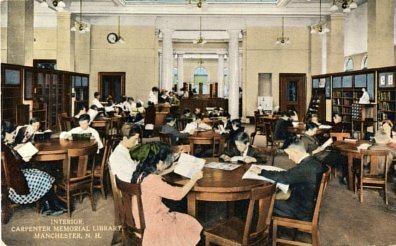 I spent some happy hours in the Virginia State Library when it was on the capitol grounds in Richmond in the 1980s. This may be an earlier building, I'm not sure. About 15 years ago, the library moved off the Capitol Grounds into a new, sterile building. The wonderful name 'Virginia State Library' was changed to "Library of Virginia", which sounds like it was coined by a shopping-mall publicist. Sic semper biblios. I've just posted information about your fascinating blog on my site Book Keeping bkkp.blogspot.com.